How can a modern legend like the Mustang digital amplifiers be improved? Simple, Fender does it again, bigger and better with the Mustang GT 40. They take seven decades’ worth of experience crafting inspirational tools and use it to add new (and better) amp and effects models while making it easier to use all of this without sacrificing one iota of power. They make it easy to control a studio’s worth of authentic amp and effects models with one finger via Bluetooth and the exclusive Fender Tone app. 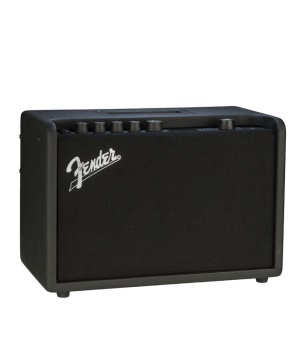 Fender invents the world’s first WiFi equipped guitar amplifier, making it easy for you to download the latest updates, access Fender artist-created presets, and connect directly with a community of other creative players and music makers like yourself. Fender created the Mustang GT 40 digital amplifier.